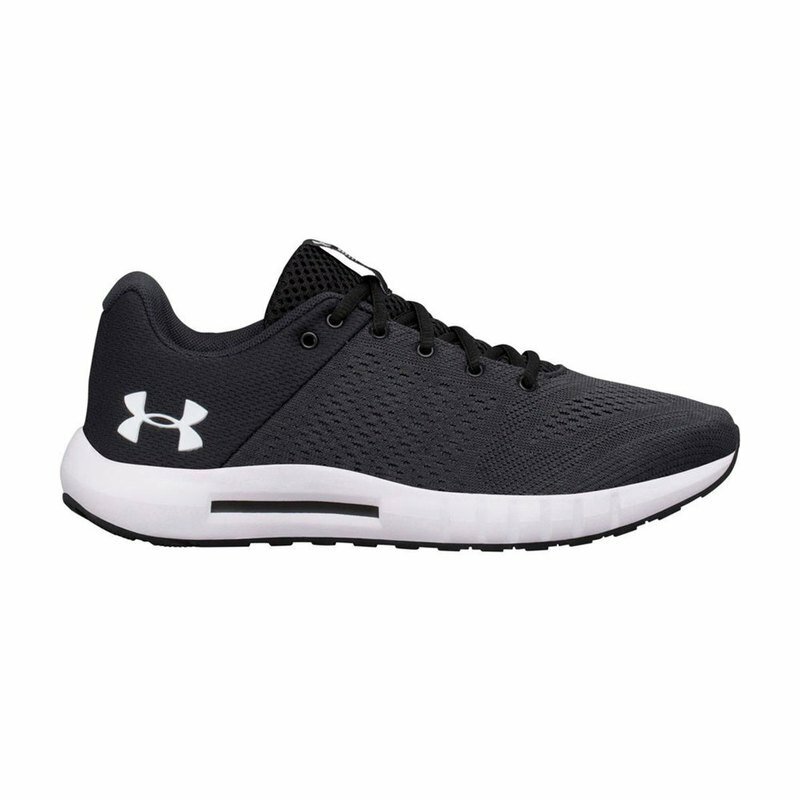 Run with ease in the Under Armour® Women’s Micro G® Pursuit Running shoe. Constructed with a lightweight mesh upper that delivers complete breathability to keep feet cool and dry. Foam padding at the ankle collar and under the tongue maximizes comfort while a high rebound, die-cut EVA sockliner delivers extended arch support. The one-piece Micro G® foam midsole turns cushioned landings into explosive takeoffs. Complete with a tire inspired outsole pattern for the ultimate flex and superior traction for the duration of your run.